Greendust is giving Philips Multimedia Keyboard worth Rs 890 at great discount plus you can avail Rs 200 additional off. So it will cost you Rs 300 only. You can order Cash on delivery also. How to get Philips Wired Multimedia Keyboard at just Rs 300? Here comes the amazing deal from yebhi.com. Yebhi is giving Adidas slippers at 50% off. But this is not all. You can avail Rs 100 off coupon also which we shared a day back. They have Adidas slippers starting from Rs 249. After using Rs 100 off coupon, you can avail it for Rs 149 only. 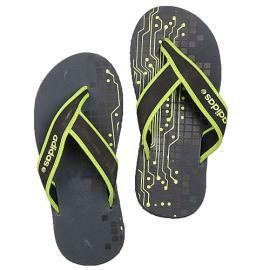 How to get Adidas Slippers at just Rs 149? Note: Stock getting sold very fast. So if you want to buy then don't delay as you may not get desired design or size after some time. Girls ! What comes to your mind when you think of Periods ? 'Fear of staining' right? Do you know that the cause for staining is mostly leakage from the sides. Yes, that is why SOFY Side Walls is a must Try !! With SOFY, even on your heavy days you can be Confident and wear your favourite clothes, without looking back ! Get a Free Sample of Sofy Side Walls delivered at your doorstep. All you need to do is to fill the form and tell your shipping address. Just follow the below mentioned steps. How to get Sofy Side Walls Sanitary Pads? Click on "Click here to get a free sample"
You can also request by sending sms SOFY to 56161. But why waste money on Sms when you can get it for free. You don't have to pay anything to get a chance to win Philips Induction Cooktop HD4909. Just follow the steps below and one lucky winner will get a Free Philips Induction Cooktop HD4909. 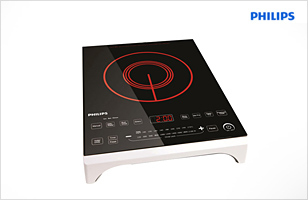 How to win Philips Induction Cooktop HD4909 by just paying Rs 0?